The research is on potatoes that have been genetically modified to resist late potato blight. Following a public consultation, Defra has given approval to the Sainsbury Laboratory to conduct a research trial this year of GM potatoes. The research is on potatoes that have been genetically modified to resist late potato blight. 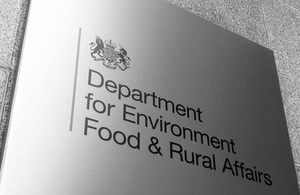 The Sainsbury Laboratory application has been evaluated by the independent expert group the Advisory Committee of Releases to the Environment (ACRE). It is satisfied that the proposed trial will not result in any adverse effect on human health or the environment. In line with ACRE’s advice, precautionary conditions have been attached to the statutory consent for the trial. These aim to ensure that GM potato material does not persist at the trial site. The harvested GM potatoes will not be used for food or animal feed. The relevant ACRE advice is available at: archive.defra.gov.uk/acre/pubs.htm.